communication conversion. It is an isolated USB to RS-232/RS-485/RS-422 converter. By using PL-STU, one can find out the truth of full supports on convenience, efficiency, expansibility, robustness, reliability, simplicities and stability. 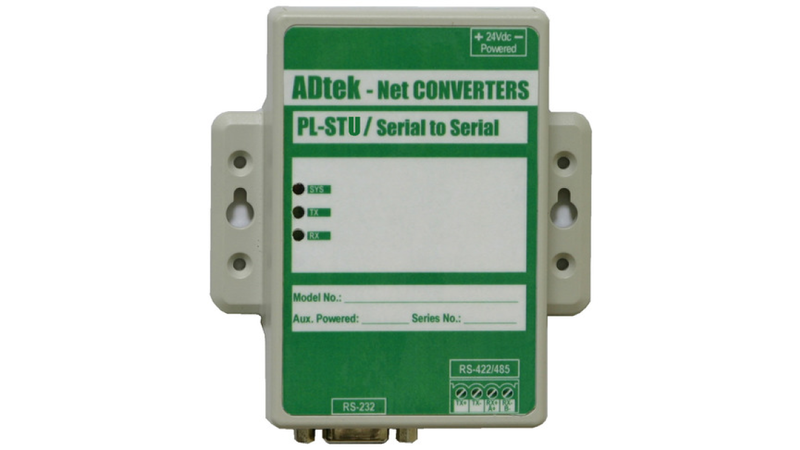 It is easy to convert serial port data in IA, Factory Automation, Security or any other low data rate transmission by using it as the intermediate converter.